For Real number decimal is represented by using base 10. 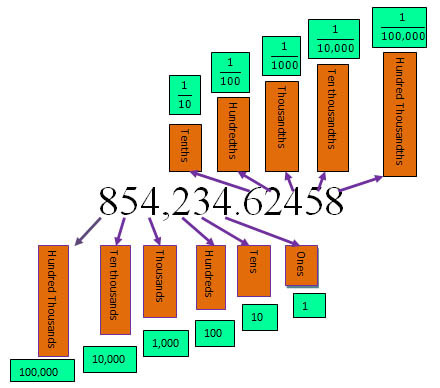 Each numeral from 0 to 9 is called as a decimal digit. How to change decimals to percents? Move the decimal point two places to the right. Insert a percent (%) sign. How to change percents to decimals? Example2: Change percents to decimals.